I love to receive: touristy postcards, washi tape, colored pens( no blue or black), stickers, stationery sets, crockpot recipes, blank recipe cards, 5 ingredient or less recipes, keychains, candles, nail polish, snowman theme items, cat theme items, black and white cow theme items, bath and body works hand sanitizers and shower gels, bookmarks, magnets, colored envelopes, earrings, bracelets, cute office supplies, deco tape, size 9-11 slipper socks,hot cocoa, Hello kitty items. I have a sweet tooth! Love twizzlers, Hershey's chocolate, Reese's peanut butter cups, peppermint bark, M and M's, peppermint patties, candy corn, cow tales. My dislikes: things that are used..like a partial sheet of stickers, partial pad of paper, tiny note cards, tiny post its, buttons, atcs,smash books, journal cards,stamped images,brads, sticker flakes, postcards of art, ribbon, journals..I just don't use/need any of these. Comment: Thank you and happy v day!! Comment: Thank you so much wonderful selection! Comment: Thank you for the nice wrapped gifts! I will wait to start opening them, to make them last! Comment: Thank you for the great cards! Cute washi too! Comment: I LOVE the fall stickers! And the letter! Red Hot Chili Peppers are on my concert bucket list! I haven’t ventured further east than MS, but I sure hope to once my toddler is older! Comment: Thank you for the WONDERFUL package. Loved it all !!! Love pens with cute things on them so I will definitely use this purple one. Cute socks. The little lantern is adorable and am going to put the pumpkin lights up tonight. Never had Halloween lights before. Thanks again. Comment: Thanks so much, I love the stickers! Comment: Thank you for the wonderful Mothers Day card. I hope you have a good one too. Happy Swapping!! Comment: OMG, I MEAN A HUGE OMG, Dena you sent me such wonderful/awesome items, am dying over everything. Using the stamp set tonight, Ooh La La! 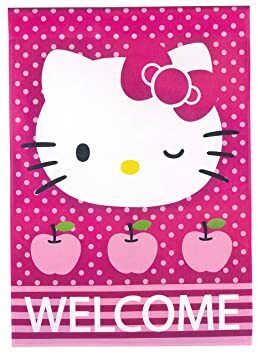 The adorable kitten note pad ROCKS! Pretty stickers/rhinestones, OH I LOVE IT ALL. Thanks so much, your so sweet, AnnaL. Response: You are welcome. You just made my day! Comment: I think I got your envelope confused with another and forgot to rate you - so sorry - Happy swapping! Comment: Thank you for the lovely Easter card. I hope you have a wonderful Easter this weekend! Welcome to the group Joy of Penpalling Worldwide. Please could you go to the group forum section of the group and fill out the Questionnaire. Everyone in this group are officers so that we will create swaps. If you would like to help out more than that and become a group founder please let me know Thank you and Happy Swapping! 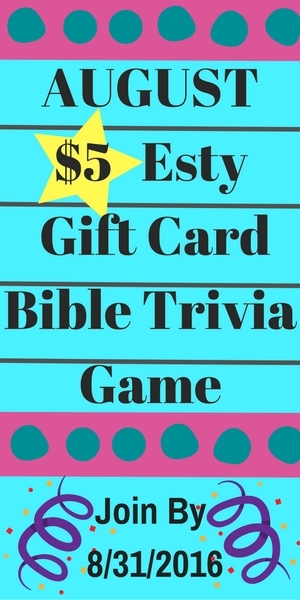 I'm just stopping by to invite you to take a look at our Christian Swappers Group forums, we have a AUG: $5 Esty Gift Card Bible Trivia Game going on in the group forum now. to a whole new year of Profile-Based Swaps! Please know that you and your father are in my thoughts and my prayers.